Dr. George Abraham is a pulmonologist from Jackson, Mississippi and he works at several hospitals in the area, such as G.V. 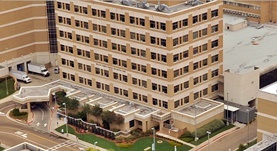 (Sonny) Montgomery Veterans Affairs Medical Center and University of Mississippi Health Care. He got his diploma from University of Mississippi School of Medicine and did his residency years in Internal Medicine and a fellowship training in Pulmonary Disease and Critical Care Medicine at University of Mississippi Medical Center. The doctor is certified in Critical Care Medicine, Pulmonary Disease and has an experience of more than 20 years. Dr. George Abraham has contributed to 4 publications. Endobronchial recurrence of gastric mucosa-associated lymphoid tissue lymphoma. The air apparent: a rare complication during flexible bronchoscopy. Author: Abraham, G.E., Sumrall, B.H., Bowling, M.R. Tamponade precedes diagnosis of systemic lupus erythematosus.